Game tickets are $10 for adults and $7 for students plus a limited number of chairback tickets are available in the main grandstand for $20. Additional information on the game can be found online at mississippibowl.com. Bret Bielema is the current head football coach at the University of Arkansas. Prior to Arkansas, he coached the University of Wisconsin from 2006-12, compiling a 68–24 record and leading the Badgers to three Big Ten championships. In 2006, he was named Big Ten Coach of the Year. Bielema coached Wisconsin to wins in 17 of his first 18 games, which represents the second-best start to a head coaching career in Big Ten history. PFP Sports & Celebrity Talent Agency is a top booking agent for motivational sports speakers and celebrities. 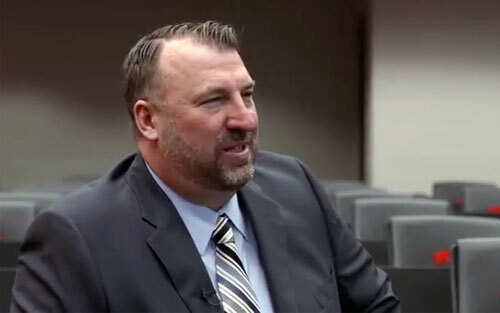 If you would like to book college football stars like Bret Bielema for a speaking engagement, personal appearance or special event, you can request Bret Bielema agent and speaker information from PFP Sports & Celebrity Talent or call 800.966.1380.